Is Model 3 the Only EV Without a "Grill"? I was glad to see that GM is dedicating their Cadillac line to EV only now. This morning I was reading an article on Electrec that included an image of their first prototype. Of course the article title used the line "to compete with Tesla", which is at least a large step up from the phrase "Tesla killer"..... but the disappointment in the image for me was on the front end. It was a little hard to tell due to shadow, but it appeared to be a large open area resembling a grill - one that brought to mind the huge and terribly ugly farcical grill that Lexus and Toyota have gone to in recent years. The article also complained about it. Which got me to thinking about "grills" on EV's. The original Model S had a faux "grill" - perhaps a bit more reminiscent of an E-type Jaguar. I can take that I guess. That was greatly improved with the current configuration, which is more a slight nod at the fact that cars used to require grills, without looking like a grill at all. The Model X also has this type. While writing this, it struck me that perhaps one of the reasons some dislike the Rivian's exterior front end appearance is due to the lack of a grill-like facade. I then considered how much the lack of that feature contributes to how much I like the Rivian's front end, despite its unusual character. As a result, I am placing a small bet with myself - or more of a point to pay attention to as more EV makers enter the transportation landscape. Will companies that truly produce a design architecture that builds from the use and requirements of an Electric Vehicle have more success, or will companies that try to make their products re-using the old ICE aesthetics do better? And of course his question applies to aspects of the design, inside and out, top to bottom. Legacy automakers I believe will struggle with this more than startups. They have so much more to leave behind. I am personally biased toward the former, as an admirer of design elegance - in which the requirements of the object being designed (utility) drive the design, but the design uses that utility to produce beauty. The Model 3 is the best example in EV's that I am aware of at this point. The other Tesla models are moving in that direction, and Rivian appears to be starting a bit further in that direction as well. Some EVs have air-cooled batteries, so they need the grill for airflow. I'm not sure if Tesla is the ONLY liquid-cooled system, but it's why they can have smaller/non-existent grills than some others. @gballant4570: "the requirements of the object being designed (utility) drive the design, but the design uses that utility to produce beauty" - very well said. For me, this is an interesting topic, and I've always admired Elon and Franz's courage to forgo any semblance of a traditional automotive grill on the Model 3. While controversial (more so after the unveiling than now), it makes perfect design sense and is a bold step in a clean, new direction. ...I think it looks great too! 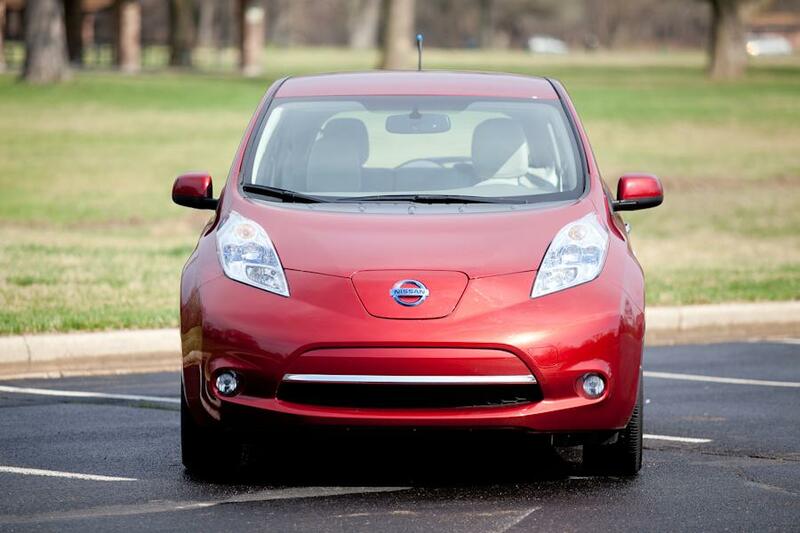 Our 2012 Nissan Leaf did not have a traditional grill per se, but it did have an inlet for channeling air to things that needed cooling: https://www.cstatic-images.com/stock/900x600/265115.jpg Tesla cars also have inlets that channel air. If you look closely at your Model 3, you will see an inlet that channels air around the front tires. I'm not an engineer, but presume it is there to improve drag. All Tesla's have "grilles", it is just not noticeable. You have to have airflow through a radiator to cool the coolant that circulates through out the pack and DU. I guess the real question I was getting at isn't well indicated by the thread title. The question of grills started my thought process, but more fundamentally is the issue of EV design. We can tell from early ICE and the early EV designs that horse drawn carriages were the platform used to spring from. Before long, the actual vehicle requirements began driving the design. Today, legacy car makers who try to leverage existing ICE vehicle design end up making a product that is not particularly compelling or desirable, while startups tend to begin EV design at the beginning - and in some cases do much better. The "grill" part is perhaps part of something that could be a bit different - re-using an ICE feature that has been prominently part of nearly all ICE designs to ease either consumers, or perhaps the designers themselves into the EV landscape. ICE vehicles, especially in past years, required a lot of air flow to get rid of waste heat. As ICE cars became a bit more efficient, the grills were entrenched as design features, resulting from a design process that used the grill requirement to achieve some level of elegance. In the Model 3, that air flow requirement is different, and the design follows from that. The thought process that prompted me to start this thread is evolving as it goes a bit..... its returning to the question of legacy auto makers design culture and its ability to adapt to EV design. Actually all EVs have grills - they are need for the radiator used in the cabin HVAC system. Better EVs like all Teslas also use HVAC systems to cool the batteries under some conditions. Still the inlet for the cooling is smaller than that required on ICE cars - which improves aerodynamics and increases range. stevenmaifert, I thought those openings near the front wheel might be for cooling the brakes, initially, After driving the car for a few months, I'm not sure the brakes require much air flow, the way they get used. Might be aerodynamics instead, or for a perceived brake cooling requirement that doesn't materialize much. I'm with you tom8959 - even if a design is a bit unexpected, sometimes even jarringly so, it can win me over. The Model 3 interior had that effect on me. When I first saw it, my reaction was "I'll never buy one of those, I'll go for an S" even though I had a reservation in.... Then by the time I saw one in person, I was on the fence. By the time I took delivery, I was quite glad the 3 interior was not like the S. I would call the Model 3 interior design elegant. The traditional car companies have to keep some resemblance to their marque's look to not scare off their customer base. Though I can't for the life of me explain what happened to Lexus's front ends. Car companies spend a lot of time on creating/maintaining a certain corporate look/theme with their front ends. So just as my car, 2014 S, has a nose cone that is reminiscent of a traditional grill, the other OEMs are doing/going to do the same. Though the present front end on Mercedes EQC, looks nothing like any Mercedes front end part form the big star. jordanrichard - an interesting point. I am thinking that a legacy carmaker should design their EV, allowing the utility of the product drive the design. Unless they replace their design staff entirely, it is likely that too much of their marque look will end up in the product, and that some level of vigilance will be required to keep that from being too overpowering. If they want to produce an elegant design, that is. What results in an elegant ICE design won't necessarily result in an elegant EV design. Just take BMW for example. Look how the "kidney grille" trademark of BMWs front end has evolved over the years. Look at the front end of the i3. If it wasn't for the resemblance of their kidney grille you would never know it was a BMW product. Mercedes Benzes for literally over 100 years were identifiable by their grilles, when they were real. Now/recent years, they have morphed into nothing more than slats and only the huge star makes it a Benz.